MPlayer is the best video player, ever. It's also open source, and more versatile than Video Lan Client (VLC). 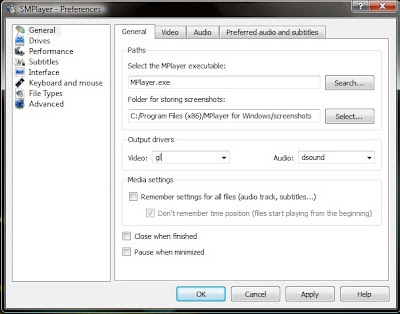 On Windows platforms, MPlayer for Windows - contains SMPlayer, MPUI, MPlayer and codecs in a convenient package. 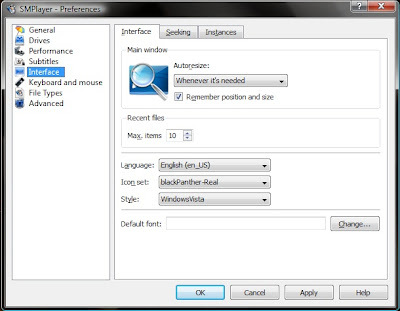 Go to the Interface Tab and pick the "Windows Vista" style. 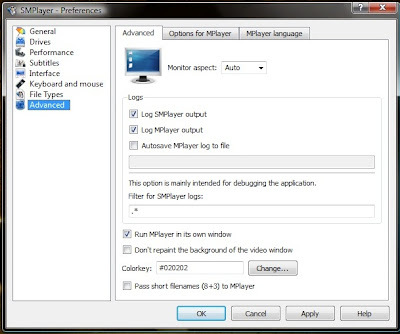 Go to the Advanced Tab - Check "Run MPlayer in it's own Window". Then the bug was probably in the NVIDIA drivers. As of Windows Vista, it uses the User-Mode Driver Framework, so if an error occurs, it can restart the driver without restarting the system (BSOD, etc). Of course, there is a performance hit to having video, audio and such drivers (mostly) in userland. Context switches between user and kernel mode can be a bit taxing on the system, that's why Vista seems to take a 10% or so performance hit in most graphical benchmarks. But if you ask me, it's totally worth it. In time, the performance hit won't be noticeable, and vendors will improve their drivers, and you'll end up with a more stable system overall.